Stan Musial, Hall of Fame outfielder-first baseman with the St. Louis Cardinals from 1941-1963, passed away on Saturday, January 19, 2013; he was 92. The following post originally was published as my “The Way the Ball Bounces” column in the September 5, 2005 edition of the I-24 Exchange, the weekly newspaper of Pleasant View, Tennessee. During a recent broadcast of a game between the Atlanta Braves and St. Louis Cardinals, announcer Chip Caray suggested that the ballpark under construction in St. Louis be called Jack Buck Stadium. Buck was the longtime voice of the Cardinals, broadcasting their games from 1954 up until 2002. He was the 1987 recipient of the Ford C. Frick Award, which means he was inducted into the Baseball Hall of Fame. Sutton’s response was right on the mark. He made no disparaging remarks about Buck, but obviously he feels that the players are more important to the game of baseball than are the broadcasters. Sutton, a member of the Baseball Hall of Fame, also knows that Stan “the Man” Musial wasn’t just any player. As a big Henry Aaron fan, I’ve always felt that, despite being baseball’s all-time home run king, Aaron’s accomplishments have never received the recognition they deserve. But compared to Musial, Aaron has gotten the Michael Jordan/Tiger Woods treatment. Stan Musial joined the Cardinals in 1941, two months shy of his 21st birthday. He hit .426 in 12 games that year and then hit well over .300 every year through 1958. Musial won seven National League batting titles, including a career high .376 in 1948. His career batting average is .331. Musial was the National League’s Most Valuable Player three times. These accomplishments alone would make a strong case for naming the new stadium in St. Louis after Musial, but they don’t even begin to illustrate how great a player he was. Players moving up the all-time home run list generate lots of headlines, causing the media to dredge up the names of sluggers like Aaron, Babe Ruth, Willie Mays, and Frank Robinson. Although Musial hit 475 home runs, he rarely is mentioned in any discussion about sluggers. But Musial ranks fourth all-time behind Aaron, Ruth, and Lou Gehrig with 1,951 runs batted in. Musial’s 3,630 hits rank him fourth all-time behind only Pete Rose, Ty Cobb, and Aaron. Musial had 725 doubles, which put him third all-time behind only Tris Speaker and Rose. Musial had 177 triples and his 1,377 extra base hits rank him behind only Aaron, who had 100 more. 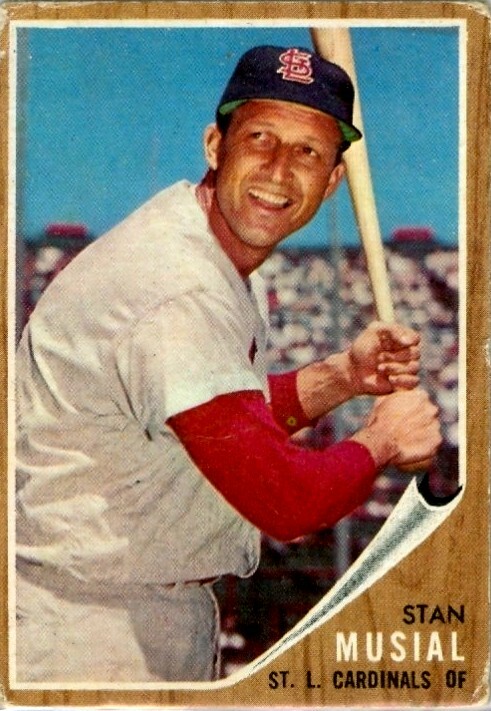 Musial played every one of his 22 seasons with the Cardinals. He was in the World Series four times and the Cardinals won the Series three of those times; he played in 24 All-Star Games. 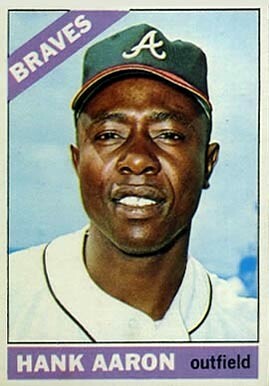 When he retired after the 1963 season, he was the all-time National League leader in hits; he still ranks second. The current trend in naming sports arenas is to sell the rights to the highest-bidding corporation. I hope the Cardinals resist the temptation of easy money and refrain from hanging a corporate logo at the entrance of their new ballpark. As nice as it would be, I don’t expect the new stadium to be named after Musial, but in any event, it shouldn’t be named after Jack Buck. After all, they didn’t name the airport in Washington, D.C. after press secretary, Larry Speakes; they named it after Ronald Reagan. Cardinals fans may idolize Jack Buck, but in St. Louis Stan Musial is The Man. Great article Hugh! Musial was one of the greatest players ever to don a uniform! I just missed seeing him play as my first memories are of the 1966 season however his stats are unreal and over such a long period of time. 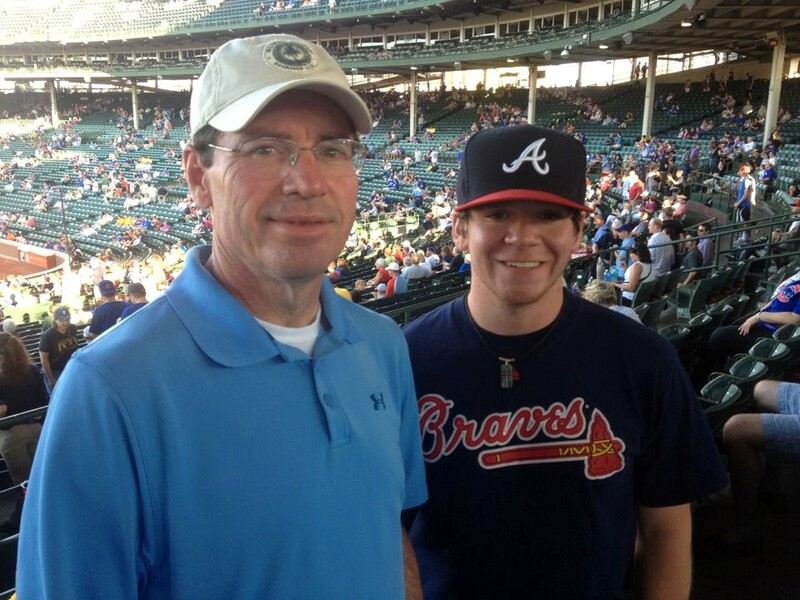 I, like you, was an Aaron fan as the Braves moved to Atlanta just as I was coming of age to pay attention. I mostly watched Aaron climb the ladder chasing Musial’s records instead of chasing Ruth at least until later. I would buy Street and Smith as soon as it came out each season and memorize the leader’s names and ranks. The one thing I noticed was that few were in all of them. They were either home run hitters or base hitters and I always admired Musial’s name in all of them and seeing Aaron pass him in most all of them convinced me Aaron was the greatest ever. Never a Cardinal fan I did have a great respect for “Stan the Man”, may he rest in peace! Thanks for the comments, Mark. I hate it that Bonds passed Aaron on the home run list, but he also wound up with one more RBI than Musial. Passing Maris, Ruth, and Aaron were the obvious injustices of the steroids era, but guys like Bonds cheapened the accomplishments of players like Frank Robinson, Harmon Killebrew, Reggie Jackson, Musial, and even McGriff. I just can’t seem to let it go.